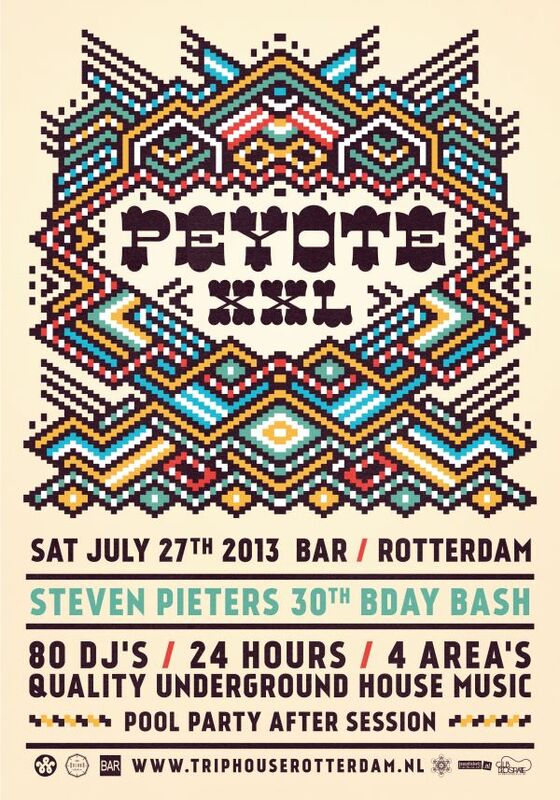 Triphouse Rotterdam head honcho Steven Pieters cordially invites you to the celebration of his 30th birthday. This massive XXL edition of his bi-monthly club night Peyote will last a full 24 hours and will feature no less then 80 DJ’s. Don’t forget to bring your swimsuit for the afterhour poolparty session!